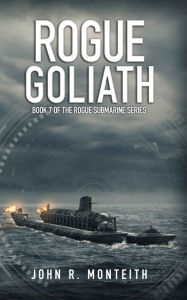 It begins with torpedo attacks against commercial tankers as the mercenary submarines Wraith and Specter glide beneath the seas, sowing chaos and choking off the flow of fuel to Greece. A secret cabal conspires to force the corrupt and failing nation from the European Union, even if it means fanning the smoldering tensions between Greece and Turkey into all-out war. 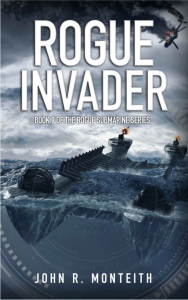 While Greek warships scramble to locate the submarine provocateurs, international arms dealer Pierre Renard and expelled U.S. naval officer Jake Slate carry out an insane mission with unforeseeable consequences. The ocean battlespace is a crucible of drones, weaponized sea life, and lethal cutting-edge technologies. 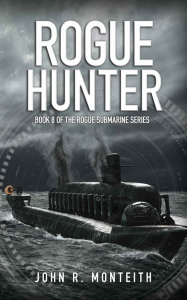 Book 9 of the Rogue Submarine Series… Rogue Avenger (2005), Rogue Betrayer (2007), Rogue Crusader (2010), Rogue Defender (2013), Rogue Enforcer (2014), Rogue Fortress (2015), Rogue Goliath (2015), Rogue Hunter (2016), Rogue Invader (2017), Rogue Justice (2017), and Rogue Kingdom (2018). 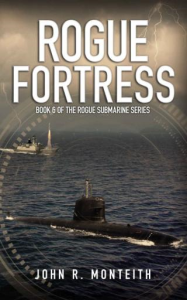 This work of submarine fiction is part of the Rogue Submarine novel series, launched in 2005 by John Monteith, a former military officer and naval warfare instructor. Beginning with Rogue Avenger, the books are titled in alphabetical order for ease of reference. 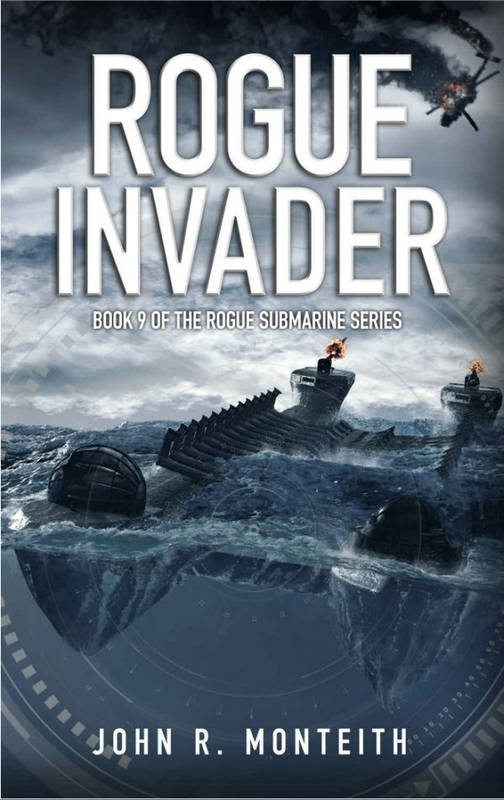 Although the stories are best read in sequence, each installation is written for enjoyment as a standalone submarine thriller.